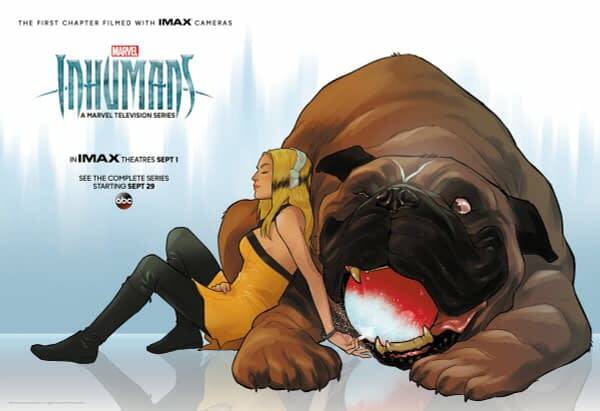 I just returned home from seeing Marvel’s Inhumans in an IMAX theater. It was my first time in an IMAX theater — I tend to go see movies in the normal theater without 3D. I’m old school that way. I tried to go in without bias, which is hard to do normally, and almost impossible here. Critics’ reviews, the cast doing a poor job of promoting the series, and the negativity that has been swirling around this project would make anyone go in thinking “This is going to be disaster.” And I’m glad to say that it’s not. There are many things to like about Inhumans. But the reality is that Marvel did themselves no favors here. Be warned there will be some spoilers, but I’ve tried to keep it to a minimum. Quickly addressing the elephant in the room: this should never have been shown in theaters. Having to drive to a theater, pay $13 for a matinee ticket, and sit through trailer after trailer just sets the expectations for the project way too high — expectations that they were never going to be able to reach. They basically were showing two television episodes made on television budget and written to be 1/4 of a season. People don’t go to see a 1/4 of a story; they go to a theater to see a complete movie. This was a bad idea all around and has put a negative taint on a project that doesn’t deserve it. That said, for the rest of this review, I’m going to look at it as a television series — as it should be looked at. It’s hard to delineate between what would be the first and second episodes. 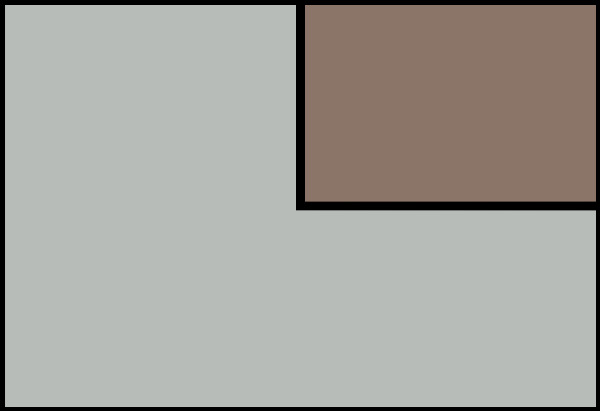 In no place did it seem like an obvious cut, so I’m going to treat it like one single episode. This is a good setup for a series that fits well into the Marvel’s Agents of S.H.I.E.L.D./Agent Carter universe, and by extension into the MCU as a whole. But this is definitely in the AoS pocket of that universe. We meet the Royal family when Gorgon, the head of the army, intercepts and destroys a moon rover that transmits an image back to Earth. We quickly see that Black Bolt is a patient ruler, erring on the side of patience and peace while his brother, Maximus, feels the time for patience is past. Maximus thinks they should no longer be hiding on the Moon, but return and take over Earth. They establish in the first episode that Maximus isn’t just a power-hungry war monger, but rather someone who truly believes that his way would better serve the Inhumans and that Black Bolt is hurting his people through his inaction. Maximus (Iwan Rheon of Game of Thrones) is the breakout character in the episodes. He establishes that he wants to help his people, even though he is an outcast, having come through the Terrigenesis with no special abilities. He is quick to comfort a boy who appears to also have not reaction to the Terrigen Mist. His powerlessness is a departure from the comics, but since his abilities are mental manipulation, it is possible that he does have his powers — he just hasn’t revealed it to others yet. Anson Mount and Serinda Swan play Black Bolt and Medusa, and they do a good job of establishing their romantic connection and how well they work together. Black Bolt has his own sign language that Medusa understands and translates. This is not, nor was it meant to be American Sign Language, but something specific for the series. The show chose not to subtitle his signs, and I think that was for the best. His inability to communicate makes the viewer sympathize with him. However, he is able to convey some things just through a look. If you’ve seen the latest trailers, then you know that Medusa has her hair shaved early on — this is done by Maximus, and I think it was about more than just to taking her powers away. There is a past between the two, and I think Maximus felt betrayed and wanted her to feel that, too. Swan does a great job of showing the pain and vulnerability Medusa feels after — like part of her soul is torn away. We start getting a sense of the other characters, like Karnak, Gorgon, Crystal, and Auran. Our time with Triton is so short that you can’t really judge him, and Lockjaw, where cute, really doesn’t get much to do. Ken Leung‘s Karnak is probably the most interesting, and I liked the way they showed his powers. However, the nature of his abilities might have been confusing for people who didn’t already know what they were. I noticed that one reviewer thought his power was the ability to rewind and try something again, when it’s actually that he can run through scenarios in his head and see possible outcomes before making a decision. Eme Ikwuakor and Isabelle Cornish were rather stereotypical soldier and princess types as Gorgon and Crystal, but are likely to grow past that as the series moves on. Sonya Balmores‘s character Auran was a bit one-dimensional as well, and the fact we didn’t see her powers made the post-credits scene less than a surprise. Why else would she be so confident? We got the first two episodes of an eight-part series that set up the world, created the conflict, introduced us to the characters, and moved things into motion. It’s on par with the fourth season of Marvel’s Agents of S.H.I.E.L.D. — maybe a little better. There are some head-scratching moments and convenient occurrences, but nothing you can’t overlook for the sake of the story. Bottom line: don’t go to the IMAX theaters and pay money to see it. The value is not there. But when September 29th rolls around and the pilot episode airs on ABC, it’s worth sitting down and watching it. I’m looking forward to seeing what the rest of the season has to offer. Brown Sugar To Make Amazon Channels A Bad Mother…Shut Your Mouth!